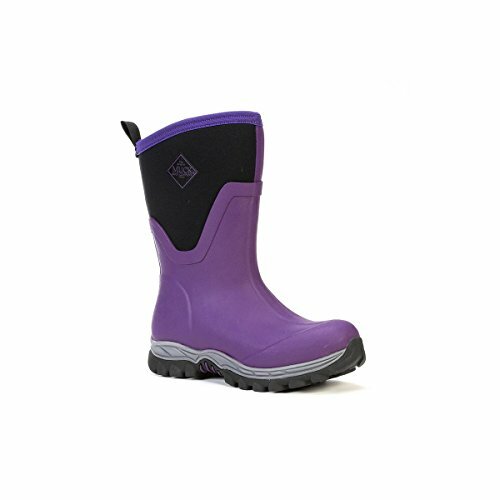 Muck Boot Company Women's Arctic Sport Ii Mid Winter Boots Socks, Purple, Size 10 | What Should I Say? Upper: extended rubber exterior. Insulation: 5mm of neoprene. Lining: warm fleece. Midsole: dual density EVA with comfort insole. Outsole: slip-resistant rugged.